WISE - Women in Successful Enterprises | Are you wise? Already a member? Log In or Sign Up today! WISE was formed to provide women enterprises resources for branching out to the next level of their businesses. Uniting the skills, knowledge and resources of established women-owned companies. WISE, Women in Successful Enterprises, is a Michigan non-profit corporation in place to assist women in business. It is our goal to keep our events economical and still keep our overhead low. Membership is FREE – Join us today! As a WISE member you get complete access to all of our online webinars, exclusive member discounts, your business listed on our online directory and a network of women helping each other succeed. 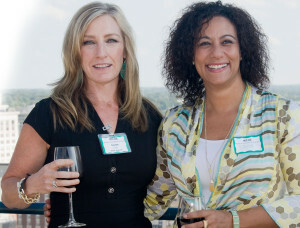 Opportunities – WISE fosters an environment of growth and support where businesswomen connect with each other. WISE women take their business to the next stage and contribute to each other’s successful growth. Wealth – Wealth is not only amassing income, but knowing when to spend it to support and expand your business. WISE women invest in themselves. Leadership – WISE women know that effective leadership is a give-and-take enterprise. They don’t just support the people following them-they aid in their success for mutual benefit. Sign up for our WISE newsletter for updates and announcements!